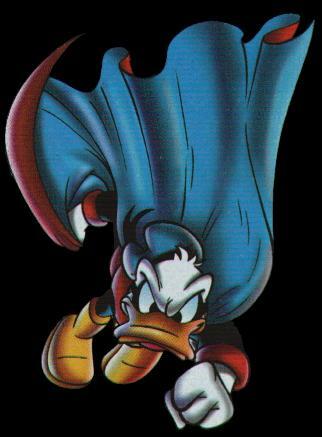 Welcome to the approved Fanlisting for the character of the Walt Disney magazine "PKNA - Paperinik New Adventures": the hero Pk (Paperinik). The character of Paperinik was created in 1969 by Italians, and Italians are also who made in 1996 the change that put Paperinik in a science fiction version that thrilled people all over the world. The second series was published in January 2001, and the third series in August 2002. Less than two years later the publication was interrupted and a lot of elements were left pending. This fanlist have been removed from TheFanlistings.com. Now this isn't yet an "approved" fanlist (by TheFanlistings.com, I mean).